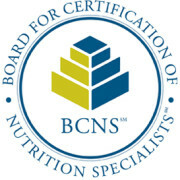 BCNS offers the Certified Nutrition Specialist (CNS) certification for nutrition professionals. CNSs engage in science-based, advanced medical nutrition therapy, research, education in clinics, private practice, hospitals and other institutions in industry, academia, and the community. With nutrition commonly described as the single most powerful determinant of our health, CNSs are position to play a central role in this period of seismic transformation of human health. BCNS certification is the most widely recognized by u.S. federal and state governments.